Felix Sergeevich Nakhshunov was born in Moscow on September 30th, 1991. He his married and has two children. 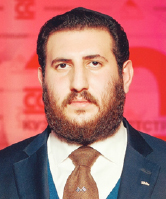 After several years of studies at the Tax Academy of the Russian Federation under the Ministry of Finance in Moscow and at MIREA - Russian technological University, he enters the market in 2013 assuming apical roles in companies engaged in raw materials trading with a special focus in the coal.He joined Coeclerici in 2018 as General Director of the company Kisk (Kuznetskaya investitionno-stroitelnaya Kompania). Alexander Breidt, born in Omsk - Russia in 1975. He graduated in Business Administration at Cologne University/Germany. 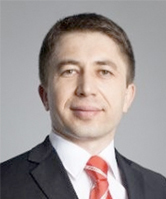 He started his career in Deutsche Werkstaetten Hellerau RUS LLC as Finance Controller. He has different roles as responsible for the whole finance and IT department, including Controllership, financial planning and analysis, forecasting, budgeting, reporting, HR, legal procurement and profit improvement. During May 2017 he covered the position of Chief Financial Officer (CFO) in Roess Nature Group GmbH & Co. KG in Bremen Area – Germany a producer of special machines, conveyor technology, drainage filter pipes, erosion control blankets. 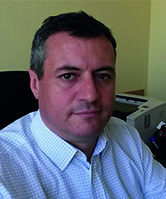 He has joined the Coeclerici Group in 2018 as Finance and administrative director of the Mining & Trading Division based in Russia. Fabio Tamburrano, born in Rome in 1975, graduated from the Business Faculty of University La Sapienza in Rome. He worked for almost 10 year in banking at Standard & Poor’s, UBS Investment Bank, Deutsche Bank and Moody’s Analytics in London. In 2010 he moved to Russia where he worked as General Director of Ruski Magni, a project company developing a primary magnesium and precipitated silica plant located near Ekaterinburg. In 2012 he started consulting a number of Russian financial institutions on securitization projects, and the holding company of Svyaznoy group on restructuring, corporate finance and venture capital funding. 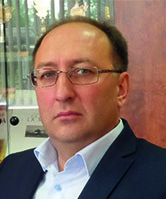 Since 2015 he has joined the Coeclerici Group where he holds the position of Commercial Director of Kuznetskinvestroy, part of the mining division based in the Kuzbass region.